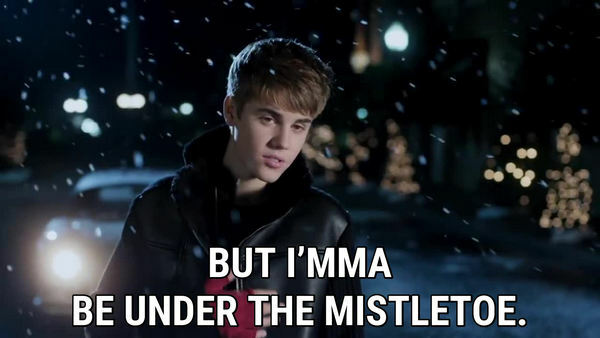 “Under the Mistletoe” is Justin Bierber’s earlier album released on November 1, 2011. It’s Justin Bieber’s first Christmas album, second studio album, and third number-one album and platinum selling album following “Never Say Never”. “Under the Mistletoe” debuted at number one on the US Billboard 200, delivering 210,000 units during its opening week. The album also debuted within the top 10 in Spain, Australia, Norway, and the Netherlands. Being a popular Christmas album, “Mistletoe”, “All I Want for Christmas is You”, “Santa Claus Is Coming to Town”, “Silent Night” and a great many other pleasant Christmas songs are all included in Justin Bieber’s “Under the Mistletoe”. The following tutorial is going to guide you to download Justin Bieber’s full Christmas album from Spotify Free to MP3 step by step. Note: If you are an Apple Music subscriber, please refer to How to Download songs from Apple Music (including Justin Bieber's “Under the Mistletoe”) to MP3 for detailed steps. 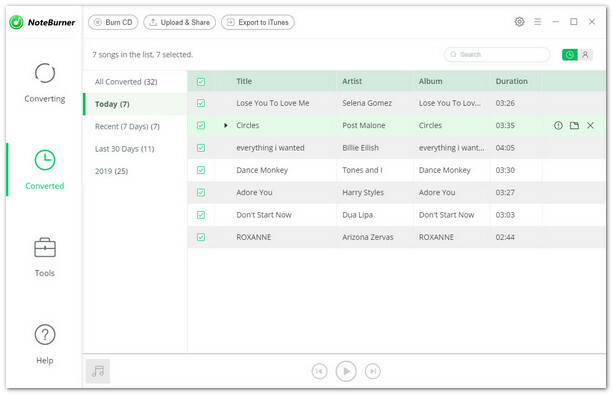 Spotify is a streaming music service offering DRM-protected songs for Spotify users. 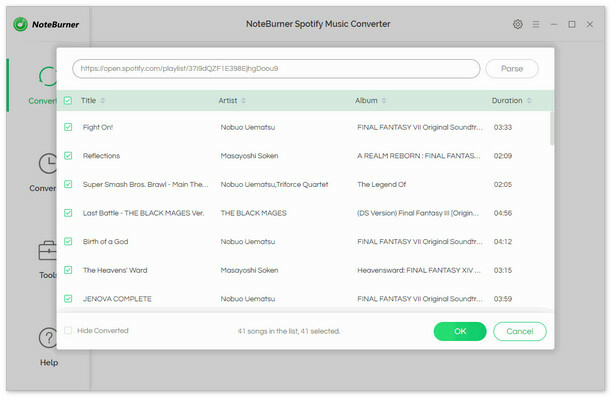 Therefore, though we have access to listen to songs on demand, discover new music, play and share music, playlist, album and etc without any charge on Spotify Free, we are unable to download any songs from Spotify as local files. But from another point of view, it's the DRM protection that prevents us from downloading Spotify songs. If we can remove the DRM from Spotify songs, we can then download Justin Bieber's full album "Under the Mistletoe" or any other songs from Spotify easily. Click button "+" or click the center of NoteBurner. 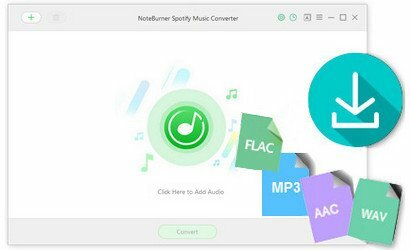 There will be a pop-up window prompting you to copy and paste or drag and drop the album link of Justin Bieber's "Under the Mistletoe" from Spotify to NoteBurner. 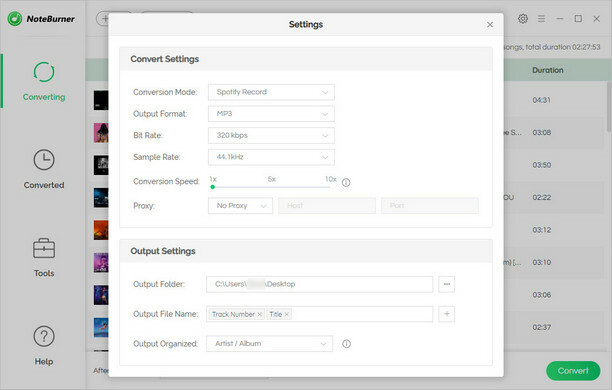 Step 3: Choose MP3 as the Output Format for Album "Under the Mistletoe"
Click the gear button on the upper right and you will be able to choose output format (MP3/ AAC/ WAV/ FLAC), output quality (High 320kbps, Medium 256kbps, Low 128kbps) as well as the output path. Here we choose MP3 as the output format for the target converted songs in album "Under the Mistletoe". Click button "Convert", and Justin Bieber's all Christmas songs in album "Under the Mistletoe" will soon been converted & downloaded in MP3 format and saved in the output path you set in previous step. By clicking the history button (like a clock) on the upper right or directly going to the output folder you customized in Step 3, you will find all the converted songs in "Under the Mistletoe" downloaded in MP3 format.